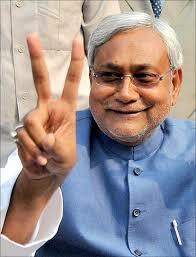 Patna HC throws RJD petition out, Nitish Government to stay! Patna: The Patna High Court on Monday (July 31), declined to intervene in the matter of the validity of Bihar Chief minister Nitish Kumar’s new coalition government, and dismissed two petitions challenging the formation of the JD(U)-BJP combine. It said no intervention of the court was required after floor test in the state Assembly. The two PILs had challenged the formation of the new government on the ground that it had violated the judgement in the S R Bommai case. After hearing all parties, a division bench comprising Chief Justice Rajendra Menon and Justice A K Upadhyay dismissed the two PILs saying, after floor test in the state Assembly, no intervention of the court is required. While one PIL was filed by RJD MLAs Saroj Yadav and Chandan Verma, the second PIL was filed by Jitendra Kumar who is a member of the Samajwadi Party. On Friday last, the court had adjourned the matter for today. The newly formed Nitish Kumar government, in which NDA is a coalition partner, had comfortably won the trust vote on Friday last. While the ruling alliance got 131 votes, the opposition had secured 108. B C Pandey and Bhupendra Kumar Singh, lawyers on behalf of the petitioners, argued before the court that the RJD, the single largest party, was not given a chance to prove their majority before the swearing in of the new government in violation of the Supreme Court judgement in the S R Bommai case and hence the oath of office and secrecy taken by ministers of the new government were void. While Advocate General Lalit Kishore appeared on behalf of the state government, Y V Giri was the governor’s counsel and the Union government was represented by S D Sanjay. Y V Giri argued before the court that once the floor test was conducted,and the NDA coalition clearly proved its majority on the floor of the House, no further suit was called for. The JD(U)-BJP had furnished a list of 131 MLAs in support of the new government, and they acquired the same number of votes on the floor test Friday last, which justified the governor’s decision, he said. He told the court that the same procedure was followed recently in formation of government in Goa. After hearing all the parties, the bench observed that no intervention was required. On Friday last, lawyers of the petitioners had mentioned the two cases ahead of the crucial confidence vote and had prayed that the trust vote be nullified since it violated the judgement in the S R Bommai case. The lawyers had also prayed that the court issue a directive to invite the leader of the single largest party to form the government. Principal Additional Advocate General Lalit Kishore and Additional Solicitor General S D Sanjay had termed the PILs on July 28 last as “frivolous”.